Luc is a cabinet maker specialised in antique furniture restoration. 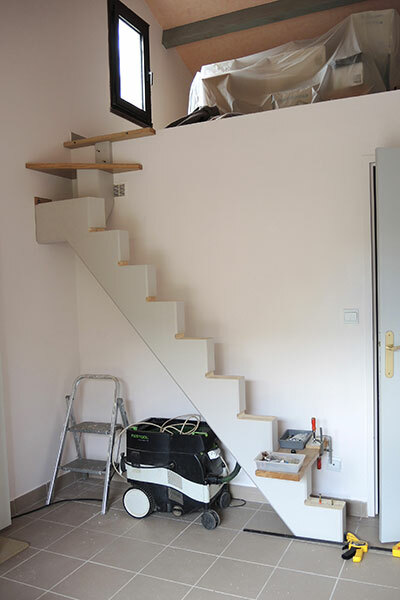 Luc didn’t have any experience in stair building so when one of his customers asked him to build a central cut string stair to access his mezzanine he wasn’t very sure how he should go about it. 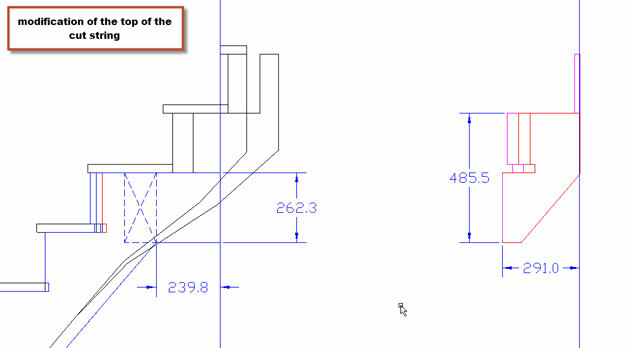 Searching the internet for information he fell on StairDesigner and our StairFile staircase design plans…here’s Luc’s story and how it all worked out. A big thanks to Luc for sharing! Hi, my name is Luc Levy. I’m a cabinet maker specialising in antique furniture restoration. 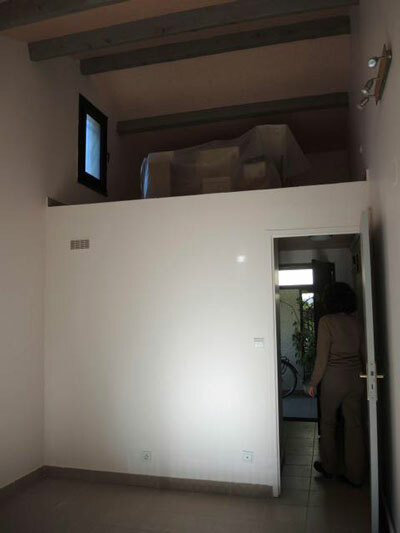 Based in Montpellier in the south of France, I’m more used to renovating and building furniture than building stairs. 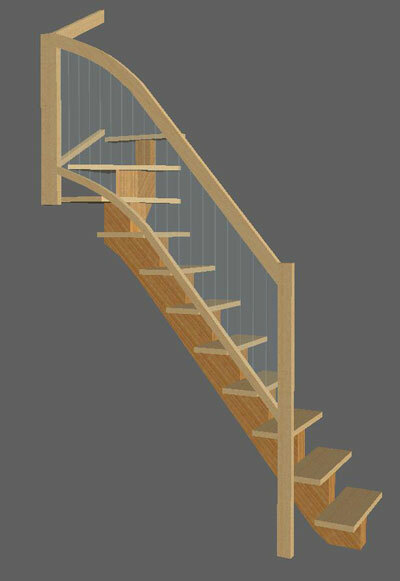 Some time ago, a customer asked me if I could create a quarter turn staircase design to climb up to a mezzanine platform in his living room. Not being familiar with stair design, I browsed the internet to try and find some software that might help me set up this project. I fell on StairDesigner and I downloaded the free version from Ness’s website. I started designing my project with StairDesigner which I found very easy to use. 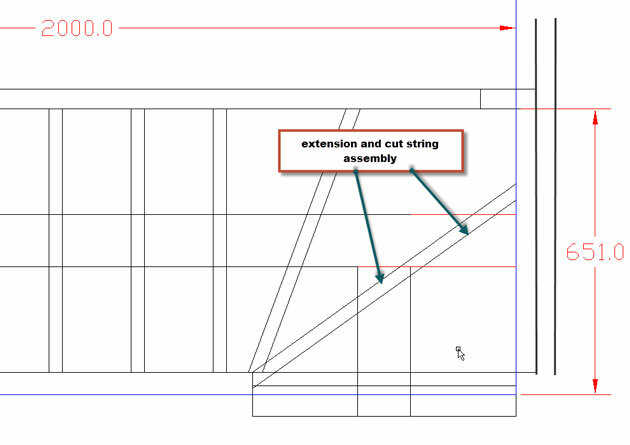 As I don’t build stairs on a regular basis, I decided to use Wood Designer’s StairFile service to get the production plans from my free version’s project. 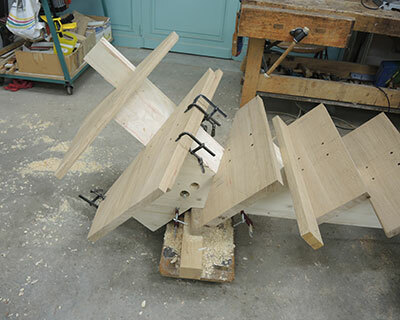 I also thought that as I wasn’t used to stair building, I would like someone to review my plans to make sure that everything would fit together before I started cutting wood. I can honestly say that I don’t regret my decision and as you will see that service has been a great help and has helped me avoid quite a few mistakes on this project. Once I’d bought the StairFile service, I sent Ness the first StairDesigner file of my project, with some photos and the room size. I told him that I wanted the first cut string to be extended to the wall. Ness sent the files back with the required modifications and also advised me to house the back of the steps into the cut string. After sending a few plans back and forwards to optimise the design and get the exact position of the newel posts, Ness sent me the final plans that enabled me to build the stair. I would like to thank the Wood Designer team for having let me freely use StairDesigner, a really great piece of professional software, and their excellent StairFile service that allowed me to build this stair project. For my client and myself, this stair has been a great success and thanks to them everything went well and smoothly. 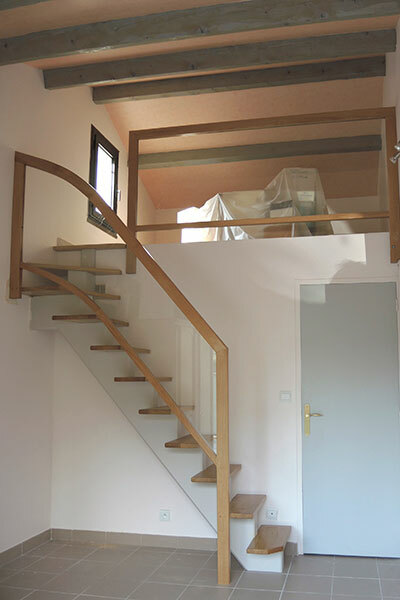 I can only recommend the software and services of Wood Designer and especially if like me you are not used to building stairs. I don’t think you can find these services anywhere else and their advice and support have enabled me to work through this project quickly and efficiently saving me an enormous amount of time, worry and head scratching.